A new light rail system valued at more than 2 billion baht (£3.8 billion) is set to be developed between Phuket International Airport and Chalong intersection. It is hoped the plans will boost tourism in the South of the country and there will be 23 stations along the route, with planners deciding whether or not there will be a specific lane for the tram or if it will share lanes alongside other vehicles. Transport permanent secretary Chartchai Thipsunawee explained that the 60km rail tram will be developed between the airport to Chalong intersection in the Muang district. Mr Chartchai explained the Mass Rapid Transit Authority of Thailand (MRTA) will be approved to work on the project. 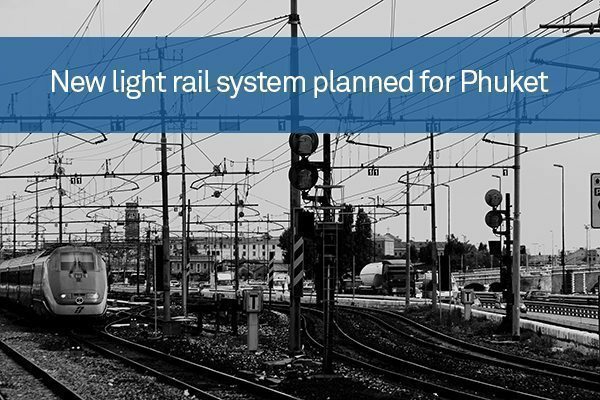 The stations will feature Phuket International Airport, Thalang and Koh Kaew and the second provincial bus terminal, with Mr Chartchai voicing worries about what to do regarding the level crossings as the tram route will pass 39 intersections and 37 U-turns across the province. Agencies will need to specify whether an overpass or tunnel will be developed at each crossing, or if traffic lights will be utilised if the tram shares the road with vehicles. Work will only be able to start after this has been settled. “For the investment, the MRTA will study whether the private sector will be responsible for the entire investment or only as a joint venture,” Mr Chartchai explained. He went on to say there are three areas that must be analysed for improvement before the project gains approval. These include plans for introducing flyovers across the railroad in 18 locations, including a U-shaped flyover at one location. The transport ministry has also assigned the Rural Road Department and Highways Department to gather preliminary studies linked to these issues ahead of plans to propose their ideas across the next month.